Its kind of frustrating when you are stranded and really needs cash at hand to meet up with one or two schedule of yours add you found out that you left your wallet at home or at your work place. I tell you i have been in a situation like that, and i will say it is really frustrating most especially when you are in a hurry to go pay up some bills as fast as possible but in several occasion when i find myself stranded and in need of cash there have always been one saviour and i am proud to tell you that my national identification card has been of great helping to me because it provides great ease for me to access my funds even if i have forgotten my bank withdrawal card at home or at my work place. national identification card, this was part of the recent improvement which was made by the NIMC. 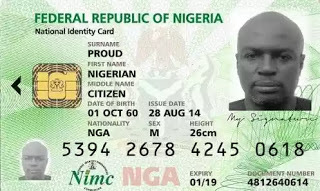 NIMC which is body in Nigeria that registers and issue out national identification cards to Nigeria citizen, this body has been in place for a very long time and has really done justice in the production of NIN (national identification number) for every citizen of Nigeria. NIMC has been producing card which are in automated teller machine form, this card are of great use though in the past it has been so, so i say a job well done to this new improvement. 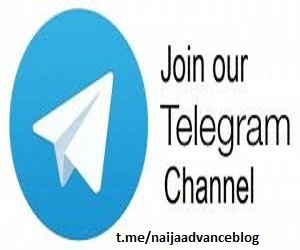 Every citizen having his or her national identification card is entitled to a bank account which is linked up to the card, and this is where the big question comes in which is how to withdraw and load up funds to a national identification card, and i am glad to let you know that this question would be answered as you read on in this post. 1. To activate any automated teller card during the first use, you would need to use a 4 digits pin which would be requested anytime you want to use the card and this is the same thing you would be doing to your national identification card. So all you need to do is to go to any Asses Bank around you and slot in you national identification card, then navigate to the Ipin or to change pin option. Then input you 4 digits pin. 2. If you already using your national identification number and you want to change your pin all you need to do is to follow the above step in order to produce a new pin for yourself. 3. 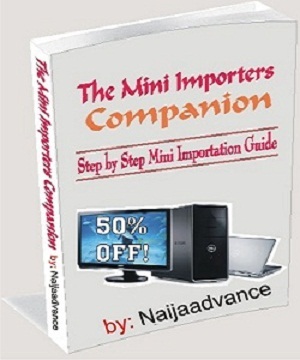 And that all you need to know about the activation of your national identification card. 1. In other to load up money into your national identification card the fist thing you need to do is to be with your national identification card while going to any Asses Bank around you. 2. pick a deposit slip and fill accordingly then submit it to the cashier which after doing that you should receive an Alert on the mobile sim which is linked to the bank account having a summary of the total amount filled in the slip which was submitted. And this is how you get you national identification card loaded with cash.